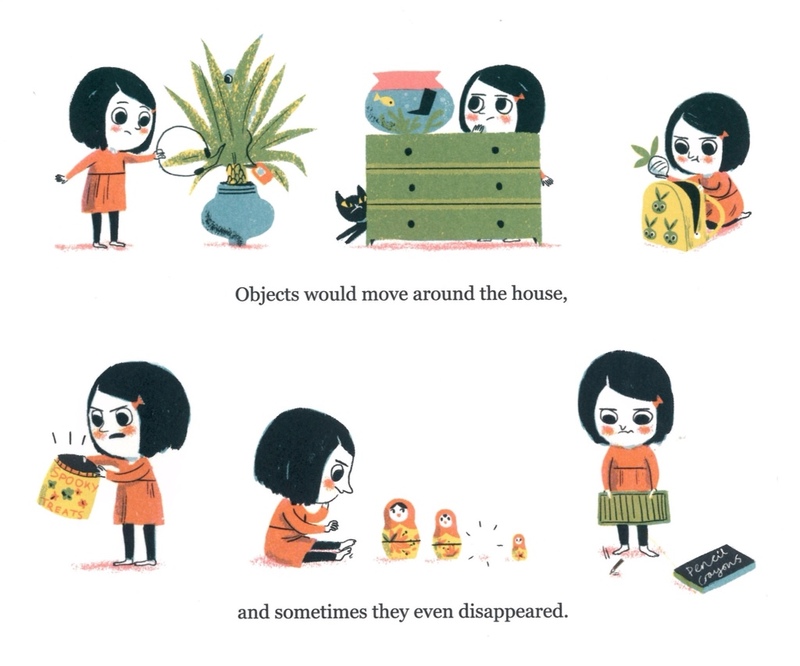 In No Such Thing a girl called Georgia notices that things keep going missing in her beautifully appointed home. Her brother, cat and the old lady across the way are all in the frame. But despite Georgia’s rational protestations, perhaps there’s another explanation – ghosts. 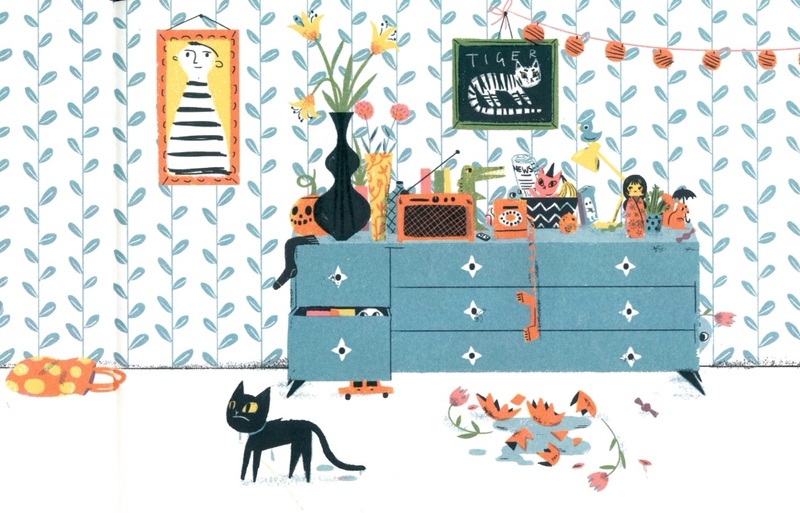 I asked Ella Bailey, author of this stylish halloween treat about vintage design, scary children’s books and missing socks. Could you tell us about Georgia? Georgia was a very enjoyable character to write and draw. I wanted a main character who was very sensible and determined, to serve as a nice contrast to the mischievous and naughty ghosts. I also think Georgia’s rational nature helped prevent the story from ever becoming too scary, something which I felt was important to keep in mind when writing a children’s book about ghosts. Georgia is actually named after one of my younger sisters, and her personality is loosely based on how both my sisters were when they were younger. Her house is stuffed full of amazing vintage design. 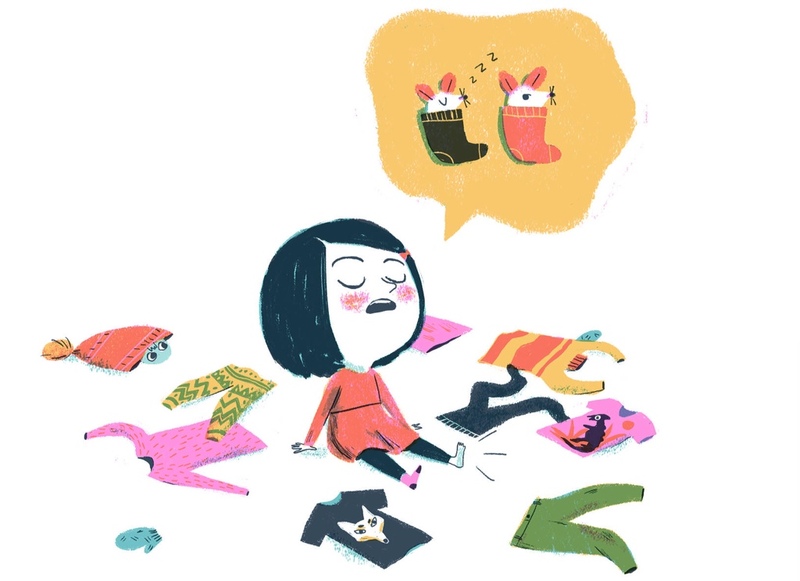 Did any of your own things make it into the book? I’m a fan of mid-century design in general, so I had a lot of fun furnishing the pages of the book with bits and pieces to try and give it that retro vibe. There are some great visual gags and it’s a book that reveals more laughs the closer you look. Any personal favourites that I might have missed? 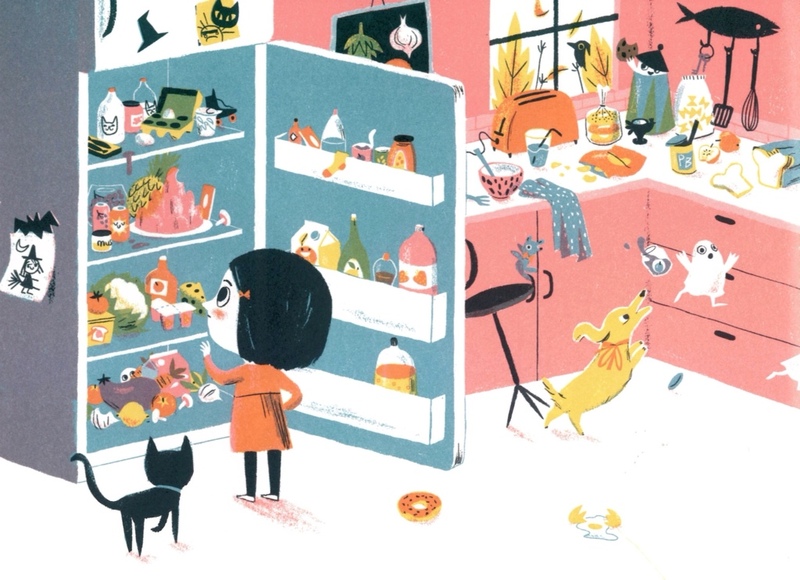 I enjoyed scattering socks throughout the book – there’s even one in the fridge! 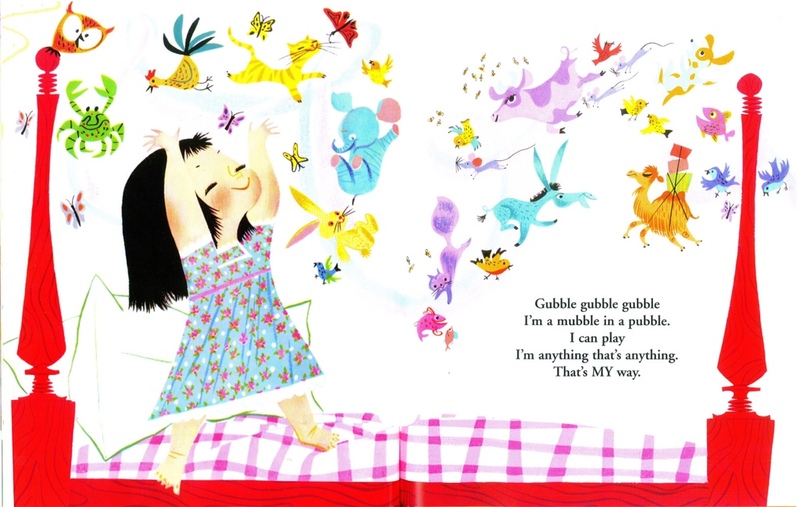 Your publisher Flying Eye have put out some stunning picture books in their first couple of years. Have you got any favourites? 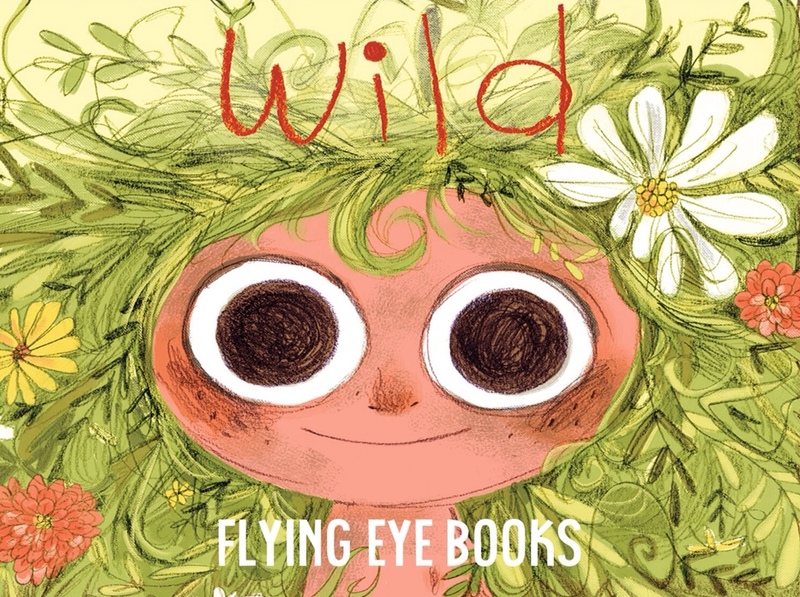 The first book I saw from Flying Eye was ‘Wild’ by Emily Hughes, which I immediately fell in love with. Honestly, however, I love all the books they publish, so I couldn’t pick a favourite. 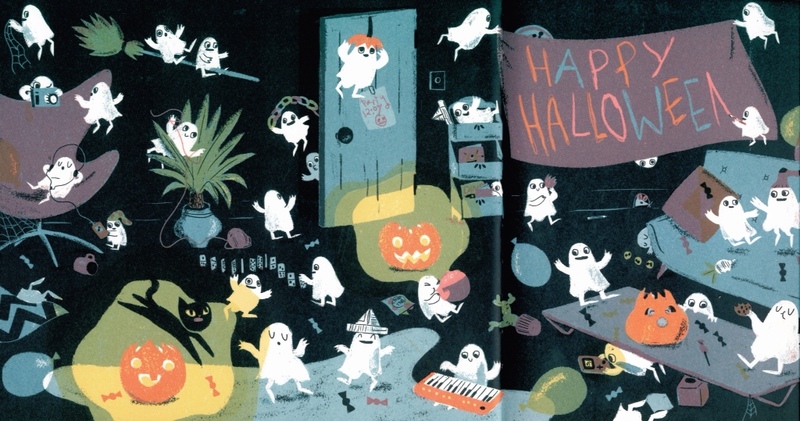 What are your favourite stories for halloween? Now that I think about it, I don’t actually know many halloween stories! I think the closest I got to reading halloween stories when I was younger was probably the ‘Winnie the Witch’ stories (which I loved). Oh, I’m also a big fan of Edward Gorey’s books, most of which I would say are absolutely suitable for halloween reading. Your illustrations have a strong vintage American feel about them. 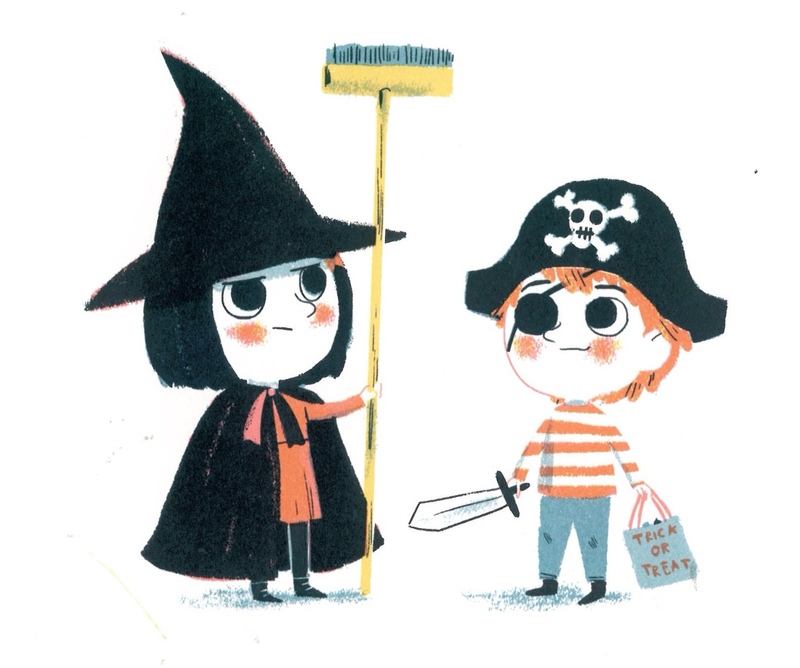 Are there any classic illustrators or authors that have inspired you? Definitely! 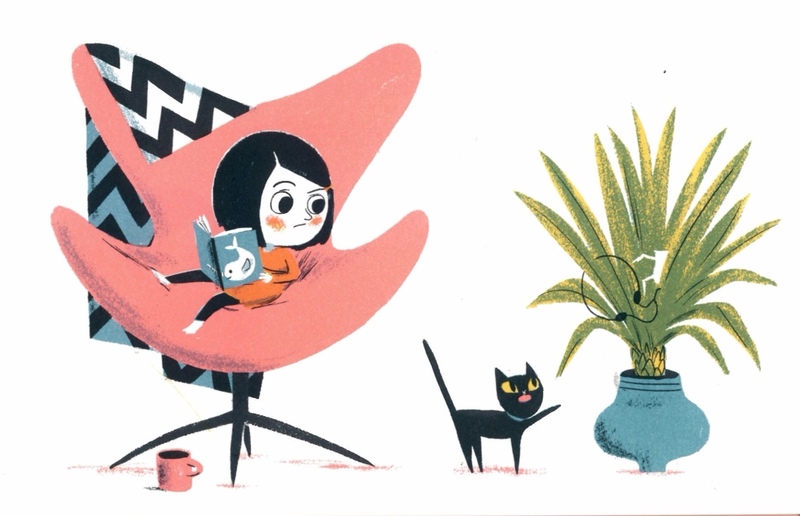 Mary Blair is one of my biggest influences – I adore the way she handled shape and colour. 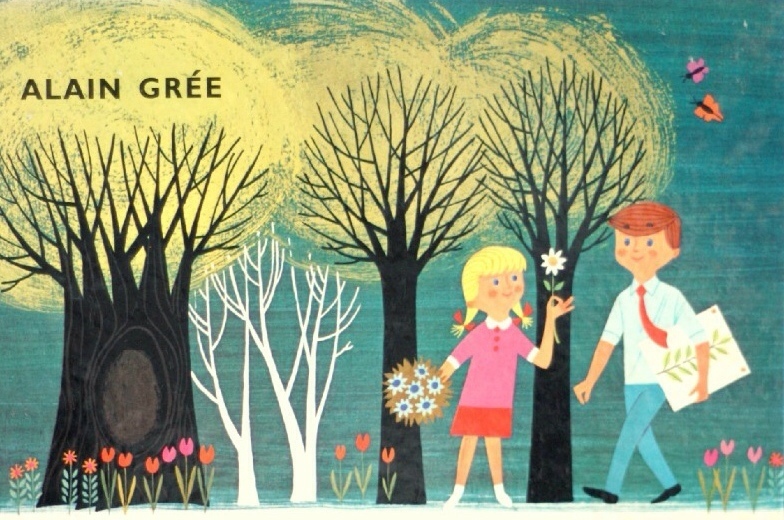 I also love the work of Alain Gree, Gyo Fujikawa, Miroslav Sasek, Maurice Sendak, Tove Jansson, Judith Kerr, Charley Harper… I could probably go on for a while! I loved Georgia’s indomitable spirit. Any more plans for her? I’d love to see a Christmas sequel – No such thing as Santa?! I don’t have any immediate plans for her, but I do love the character, so perhaps one day we will see Georgia again. Is there really no such thing as ghosts? 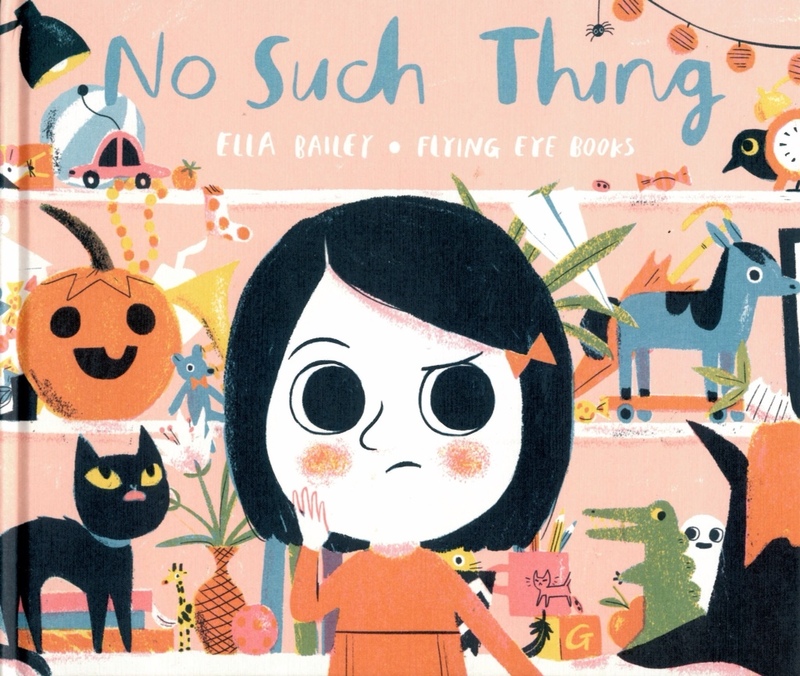 No Such Thing by Ella Bailey is published by Flying Eye Books. 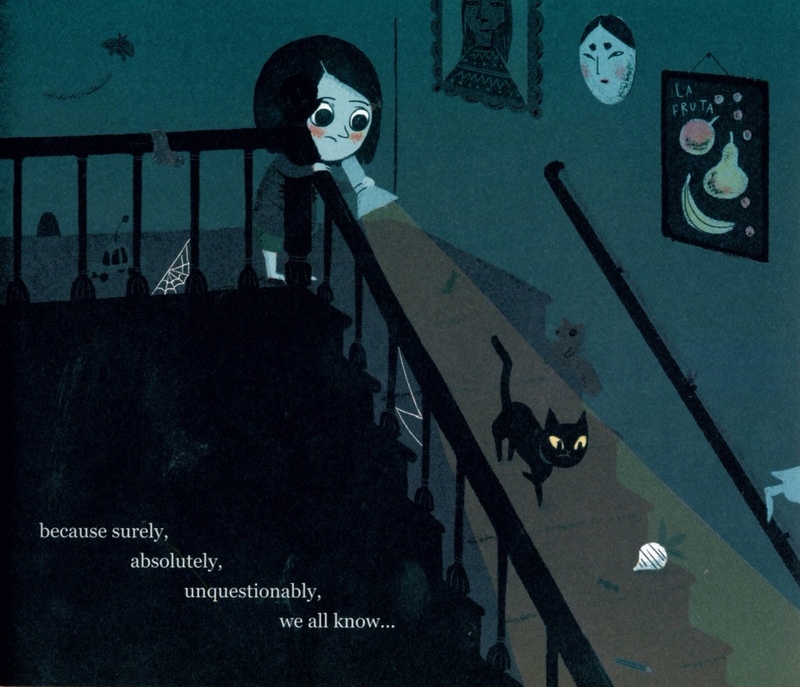 Tags: Edward Gorey, Ella bailey, Mary Blair, no such thing, Winnie the Witch. Bookmark the permalink.